▶ SoldThis listing was sold on Nov 22, 2017 for the price shown here. A one of a kind, breathtaking home filled with character in the perfect location! 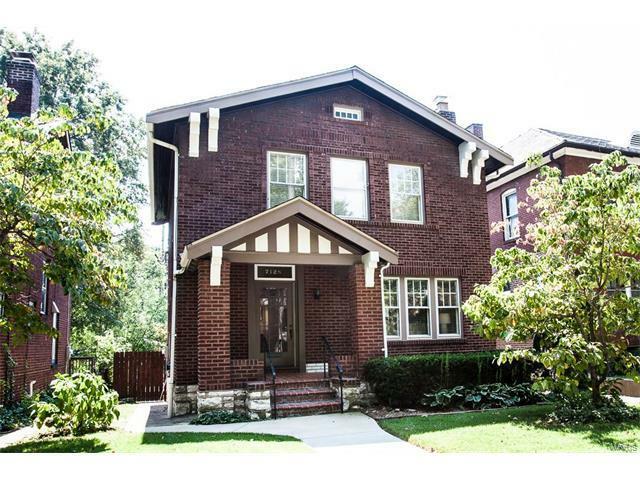 This 2 bedroom and 1 ½ bath is within walking distance to Washington University and boasts a covered front porch, beautiful hard wood floors, a living room fireplace surrounded by butler shelves and bookcases, updated bathrooms, and a deck with a private backyard and a 1 car garage. Also enjoy a fully remodeled kitchen with beautiful 42 inch custom espresso cabinets, pull out spice racks to organize your cooking essentials, gorgeous granite counter tops that complement the new stainless steel appliances, ceramic floors, a full open top gas range, and a convection oven. An open concept living room opens to the dining room and den; perfect for entertaining friends and family. The Master Bedroom has a walk-in closet and ceiling fan. The second bedroom can be easily converted into an office to best suit your needs. Lastly enjoy a full basement with a partial bathroom. Don’t miss out on this one! Welcome Home! Elementary school: Flynn Park Elem. From highway 64/40 take exit onto Big Bend and continue north, L on Forest Park Pkwy, Slight R onto Pershing, Sharp R to stay on Pershing, destination will be on your Right.